Being the most populous city of Southeastern Anatolia Region, Gaziantep is the 9th largest city of Turkey with a population of over 1.8 million. Founded on the ancient Silk Road, the city is located at the intersection of roads connecting south to North and East. 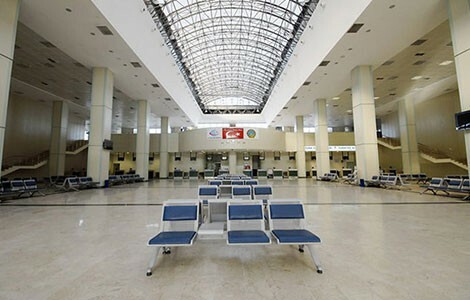 Gaziantep airport was opened in 1976. International flights began in 1993 for rendering service at international area. Domestic and international terminals opened in 2006 serve to approximately 2.4 million passengers each year in this airport having 8 ramp areas. Equipped with the latest technology, Gaziantep Airport meets an important requirement of the region having a car parking area with the capacity of 400 vehicles and passenger services at international standards.